What a statement piece this necklace is. 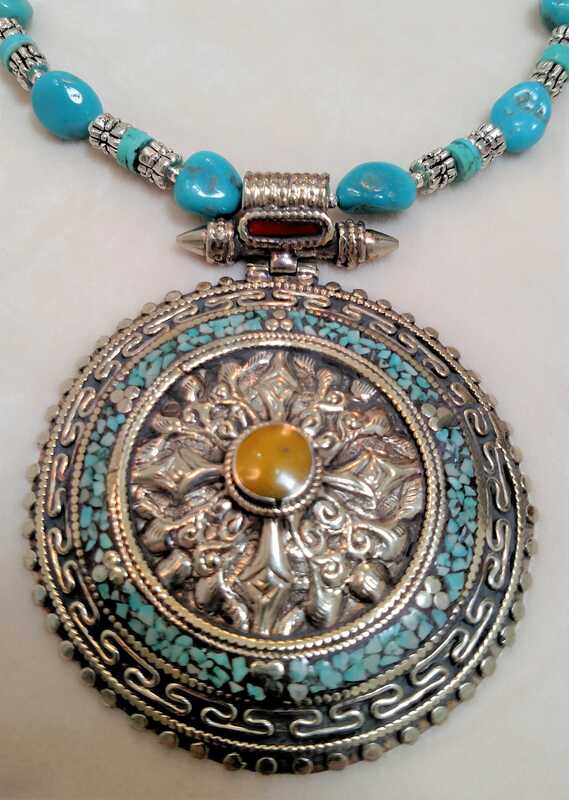 Dramatic Tibetan pendant held by a turquoise nugget chain from the Kingman mine in Kingman, AZ. 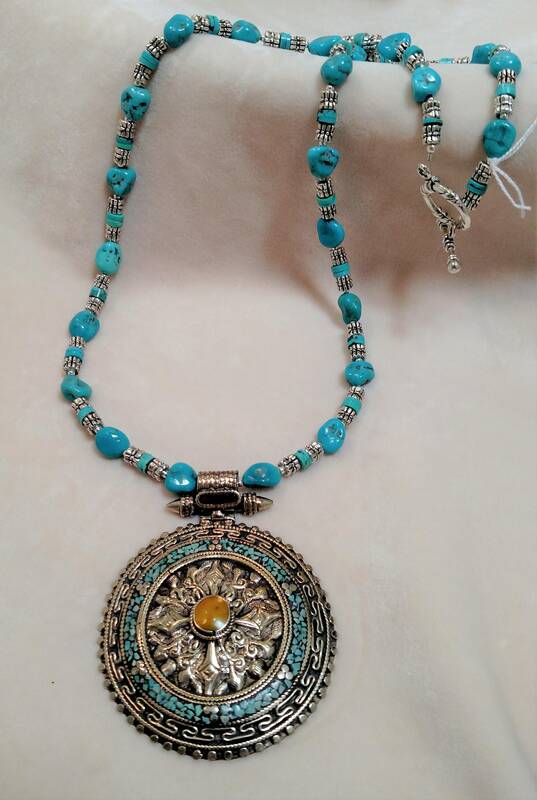 The rich blue color of the Kingman turquoise is truly beautiful. There's also a wonderful piece of amber at the center of the pendant. 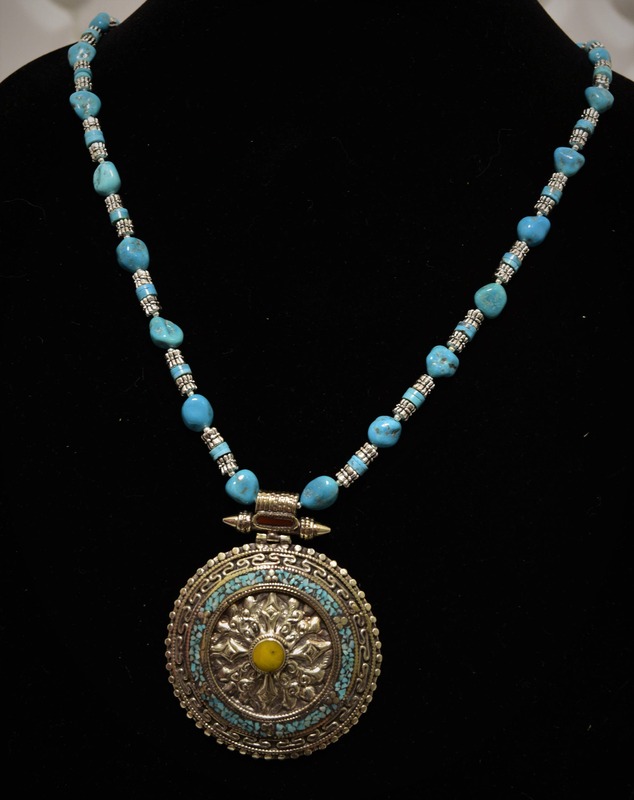 Get ready to say thank you for all of the compliments wearing this necklace will foster. If you're looking for coordinating earrings, take a look at pair #52 in the Earrings Section.